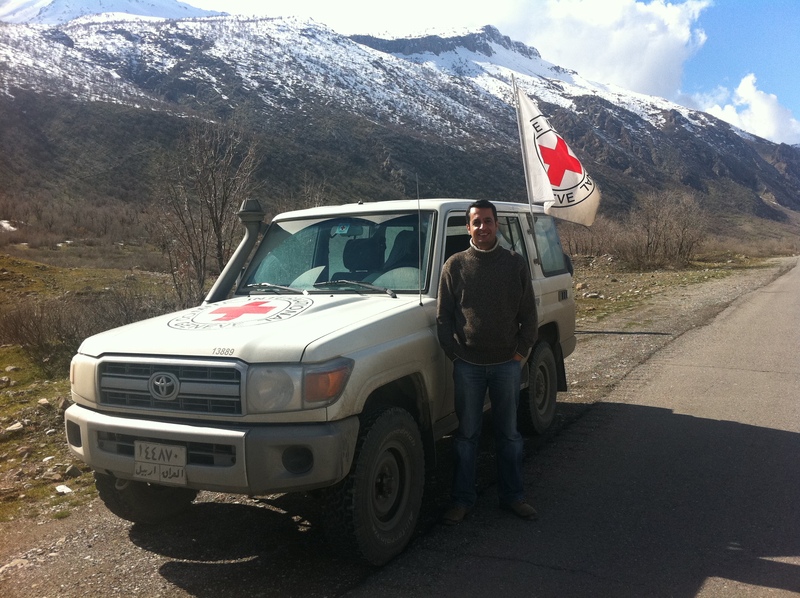 In this episode, Dilshad Jaff, MBChB, MPH, research adviser for conflict and disaster prevention research in the Gillings Global GatewayTM, joins us to talk about his experience on the front lines of a conflict zone. Jessica: Thank you for listening to Public Health Behind the Scenes. This is part 1 of a 3 part series on refugees. Naya: We hope to tell the story of why people need to leave their homes, how they get resettled and the challenges they face every step of the way. Jessica: These situations are huge and overwhelming and, as public health advocates, we want to help. But it turns out, the situation is even more complex beneath the surface. Naya: Especially in the context of global politics and what is portrayed in the media. Naya: There is so much more to this story than what can be covered in a headline, or a blog post, or even a podcast. But we’re going to try over three episodes to share important pieces to this story. Jessica: Pieces that will help you know more about the context of these situations, from fleeing your home and finding shelter in a refugee camp, to being resettled somewhere new, and to finally starting over again. Dilshad: OK, so first of all I think we need to like, define what is refugee, what is internally displaced person, and returnees… So, for refugees, that’s anyone crossing the border of their country becomes a refugee. For being an internally displaced person or IDP, it means you are displaced within your country, but not crossing the border. Naya: That’s Dr. Dilshad Jaff, Adviser for Conflict and Disaster Prevention Research at the UNC Gillings School of Global Public Health. For 13 years he worked as a medical doctor in complex emergency situations, mainly in the Middle East. Dilshad: And then you have returnees, or people returning back after the conflict. There are also challenges and issues with those returnees. And we might also like to mention the stateless people – this is a group where people are living in a country but they are not citizens of that country and they don’t have any status, so we call them stateless people. So these are, generally, the groups that we would be looking at today. Jessica. And these groups, unfortunately, can be found throughout the world, not just in Africa, but throughout India, Latin America and Asia. Dilshad: Currently, the largest sources of refugees are Syria, Afghanistan, Sudan, South Sudan, Iraq and the DRC. Just to give some numbers for now, there are 60 million people currently displaced globally; 20 million are refugees; 40 million are IDPs. For me, these numbers are millions and these numbers are huge, but I think we are not capturing the whole picture. Still people are moving, still people are on a daily basis. If you look recently, people are displaced on a daily basis. The number is very changeable. So this makes this a challenge for international organizations to do their interventions properly. Naya: Dilshad’s area of expertise is entering a site where a group of people has arrived and clustered for safety, likely following a violent conflict. They may have lost loved ones, left their homes behind, be sick or injured and likely need food, water, basically all the essentials for life. So in this situation what do you do first? Dilshad: OK, so let me tell it like a story. When we hear a group of people has been displaced, I go and assess the situation with other experts in communication, water, sanitation, etc. Someone oversees logistics, and we go as a team where everyone has a role and examines his or her field. And you just start by getting a count, finding out how many women and children there are, where they are coming from, where they are now… And you look for any emergency cases among them; these you just evacuate and take them with you. And you look for disabled people or any other issues. Really, you just listen to them, like “What do you think?’ or “What do you want?” and you go through everyone just to assess. And in some cases, you’re even triaging, like you have patients who are sick, and you say, “This is a priority, now he or she needs to go to a hospital,” and either you take them or you would try to mobilize… yeah, so this is the first thing you would do. Now after that, you come back and you also look at the size of the camp, and you brainstorm about whether they will stay long, or if they’ll go back soon, or if this place is safe for them to stay. And also parallel to that, at the same time, we need to talk to all people involved in that conflict. We talk to local authorities, we talk to governments, we talk to everybody and we talk to people as much as we can. You address the issue. And this is also something you do within the first 24 to 48 hours of the conflict. And you also need to introduce yourself: who I am, what I do, why I am here. Jennie: That’s only the beginning. After that, Dilshad and his team do their best to ward against infectious diseases, because illnesses like Hepatitis A and cholera often take hold within the first week due to unclean water. That makes it a big priority to get hygienic systems in place for solid waste management and so people can have some level of privacy and take showers, stay clean. Naya: So it’s a process of building up from the most urgent, immediate needs to other basic necessities, and then bringing in expanded resources from the government. Jessica: There are also the longer-term resources required, which are even more complex than you might imagine, for example, having access to 24-hour care, an option for a female doctor (as some refugees have religious or cultural beliefs that only allow them only to be treated by other females). And then, since you have so many people in one place, you need the basic public health services, such as offering vaccines, teaching people effective hand washing techniques, and other mitigation interventions so fewer problems arise from so many people living in a very cramped space. Jennie: And that’s not all, because these camps may also be in active conflict zones with live mines spread around, and somehow people have to continue living their daily lives in these places. Dilshad: I mean, imagine yourself being a refugee in Iraq. Iraq is already in a conflict. Or being a refugee in Lebanon, and they are in conflict, and things are not good. Or even in Turkey now, or in Jordan. The refugee camp itself is like a detention place. Naya: Access in and access out is limited. Dilshad: So, the camp needs to be protected by security guards, or armies, or I don’t know what, and then access is an issue so people can’t leave, people can’t go in, and from the afternoon until the early morning, forget about any access or any help or anything like that. So imagine this scenario, if you have a woman and she is in labor… and it’s 2 a.m., so there’s no ambulance, no health workers, and they want to go into a hospital, and she wants to deliver. 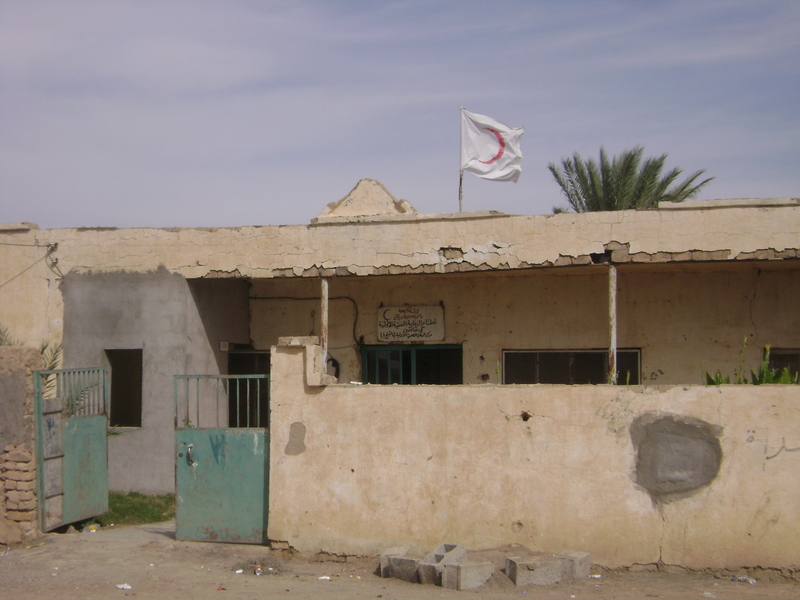 A primary healthcare center in the disputed area of Iraq. First of all, it will take time to get permission to talk to the security people and to prove it and to let her go. Then, second thing: you need to find a car. You might find a car from the village nearby or from somebody else. And then, from Point A – which is the camp – to Point B – which is the hospital or the health facility – you will go through at least three checkpoints or maybe four checkpoints, but at least three, in Lebanon or in Iraq or now in Syria… in Turkey, even, or in other countries. Now imagine how it is. Just imagine this scenario. So you have women dying, they are in labor, at checkpoints. Jennie: That’s just one specific, terrible example of the problems faced by displaced people. They’re been through trauma; they risk everything to seek shelter in a new place… and when they get there, they may still die of completely preventable causes. Dilshad: The main message here, which I would like really to highlight, is that most of these health problems in these settings, in emergency settings, or even in complex emergency settings, can be prevented. If you look for example in Congo or even in Iraqi Kurdistan in 1991 or in Ethiopia, they had a refugee camp in there, I mean the highest mortality rates in those camps are for children under five. They are dying from gastroenteritis (mainly diarrhea), pneumonia, malnutrition, and cholera. So these are all public health related. Just look at data and research statistics, and study one case in-depth and you come up with, “Oh these are all preventable.” So they are not dying from bullets or injuries or serious physical issues, so this is the thing. So, we can prevent most of these health challenges, so it’s mainly public health… and really, if we do the public health part very well, we can decrease the morbidity and mortality rate even more than half in those settings. Jennie: Dilshad shared one handy tool to help us envision ideal responses to this kind of emergency situation. Before we start this next bit, we need you to envision a triangle… sort of like the Food Pyramid we’re used to in the United States. 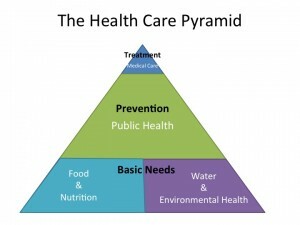 Dilshad: As you can see in the pyramid, which represents the healthcare pyramid in emergency situations, the medical care is just the tiny part of the top of this pyramid, while the public health is a major part of this pyramid and at the base of this pyramid we see two other components, which is food and nutrition and water and environmental health. So this pyramid will show you how public health is very important even in those settings. Which usually is not the case, people in emergency settings they think about medical care before public health, while public health is the most essential thing that we need to think about and do. In emergencies, in those settings, or for refugees or IDPs we need to think about many issues for them: we need to think about the place of the camp, and also when we provide tents or when we build the tents for them, we need to think about protecting them from cold, heat, rain, overcrowding, and also we need to make agreements with local populations just to make sure that the coming people, if they are IDPs or refugees, will be safe to live with this new population. And, again, we need to make sure that they can access food and have a good road in a good condition to access the camp. And again, safety and security. Naya: Given how difficult it is, how potentially dangerous and confusing these camps are, what is it like to work in them? Dilshad: Being a health professional in those settings is a challenge. And usually we don’t talk about ourselves and our challenges. We always talk about the refugees. But for us it’s also difficult, it’s stressful. You burn out. I mean, you go there every day and for a few weeks or a few months or even years. And it’s the same, things are not changing, the services still aren’t there. You know the correct way to do it, but it’s not happening, it’s not there, you can’t do it. Jennie: The need among refugees is so great, and the number of people equipped and willing to face the challenge is small. Jessica: This is why this story, in particular, has been so difficult to tell. As we got deeper and deeper into the story, it started to seem too big and impossible to pick the most important pieces to tell. And knowing how to tell it, particularly in an incredibly complex situation where even hope can begin to seem lost. Naya: And so we asked, is there hope? Naya: Stay tuned for the next episode, when we’ll share Part II of our series on refugees. We’ll see what it’s like once people are re-settled from refugee camps, both through the eyes of Congolese and Burundi families resettled in Raleigh, North Carolina. We’ll also learn more about the resettlement process and hear how one group at UNC is working to ensure gaps in mental health services are met. Jessica: Many, many thanks to Jennia Saia for helping us tell this story. This episode was produced by Jennie Saia, Naya Villarreal, Jessica Southwell, Branson Moore, and Natalie Smith. If you like what you hear, tell a friend, and make sure to subscribe to us on itunes or through your favorite podcatcher. 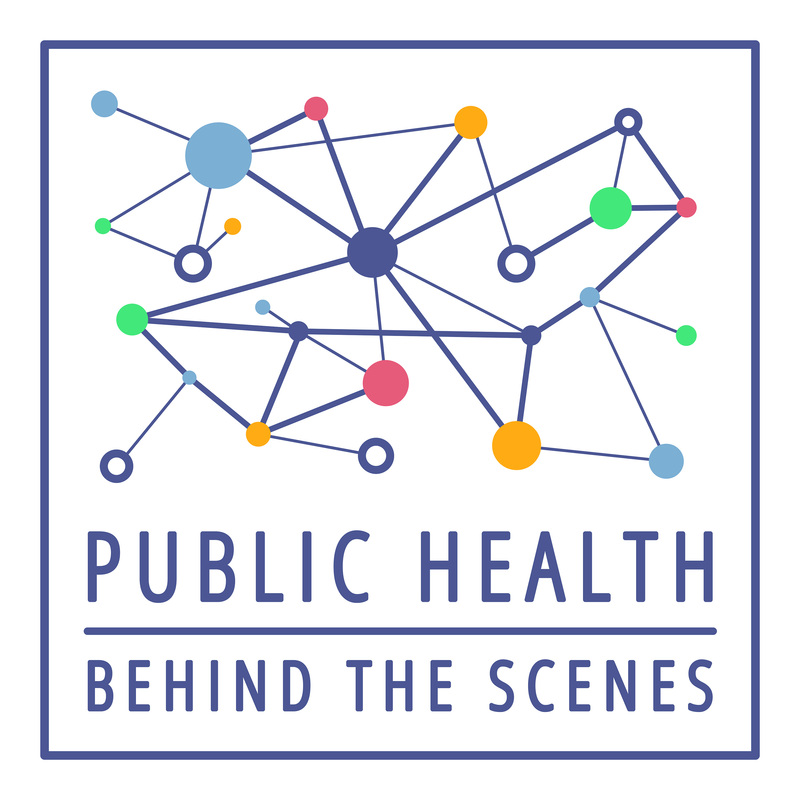 Links and shownotes are available online at publichealthpodcast.com.